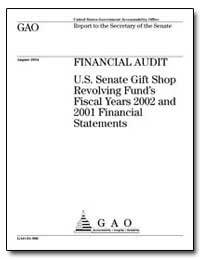 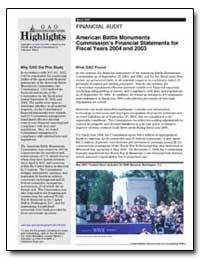 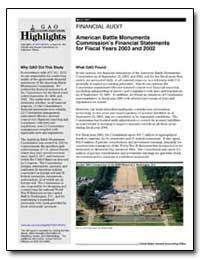 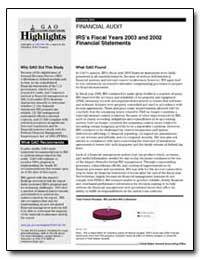 Excerpt: This report presents the results of our audit of the Senate Gift Shop?s Statement of Receipts, Disbursements, and Fund Balance for the fiscal years ended September 30, 2002 and September 30, 2001. 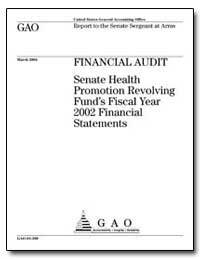 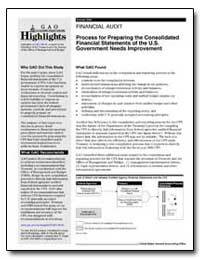 This report also contains our opinion on the effectiveness of the Fund?s related internal control as of September 30, 2002, and our evaluation of its compliance with selected provision of laws and regulations we tested. 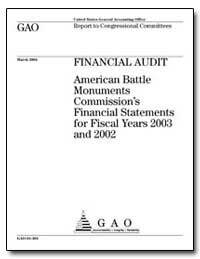 We performed this audit at your request. 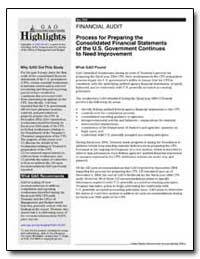 Excerpt: GAO identified weaknesses during its tests of Treasury?s process for preparing the fiscal year 2004 CFS. 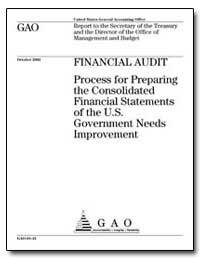 Such weaknesses in the CFS preparation process impair the U.S. government?s ability to ensure that the CFS is consistent with the underlying audited agency financial statements, properly balanced, and in conformity with U.S. generally accepted accounting principles.